The Bhabha Atomic Research Centre is India’s premier nuclear research facility headquartered in Trombay, Mumbai, Maharashtra. 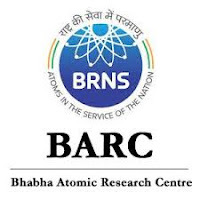 BARC is a multi-disciplinary research centre with extensive infrastructure for advanced research and development covering the entire spectrum of nuclear science, engineering and related areas. Applicants who have completed Diploma/10+2 vocational H.S.C. examination from recognized university/institute or equivalent from a recognized Institute for BARC Recruitment 2018. Eligible & Interested Applicants can download the Notification & Application form on the Official website page at www.barc.gov.in BARC Recruitment 2018.